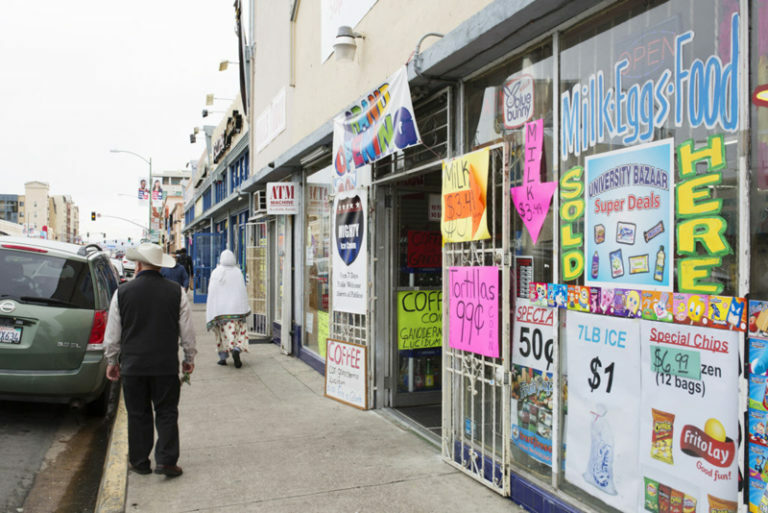 The corner of University Ave. and 42nd St. in City Heights, among the neighborhoods with the highest proportion of residents living below the poverty line. Jan. 3, 2017. Megan Wood, inewsource. 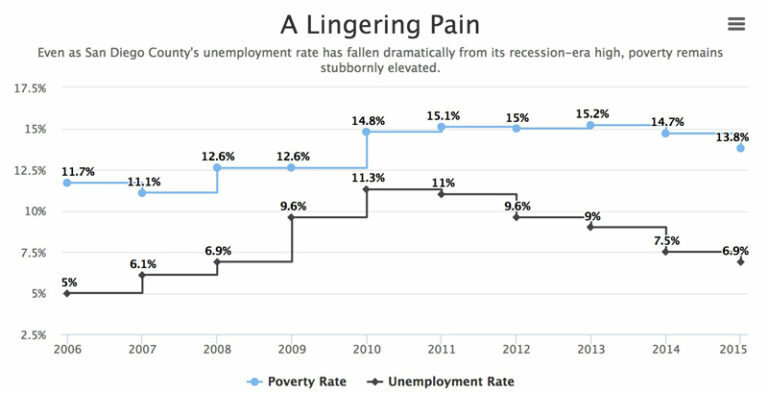 Even as San Diego County’s unemployment rate has fallen dramatically from its recession-era high, poverty remains stubbornly elevated. Source: American Community Survey Single-Year Estimates | Graphic by Joe Yerardi, inewsource. 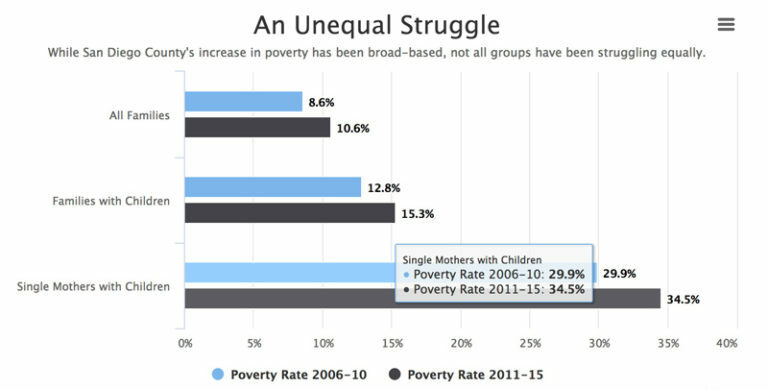 While San Diego County’s increase in poverty has been broad-based, not all groups have been struggling equally. Source: American Community Survey Single-Year Estimates | Graphic by Joe Yerardi, inewsource.